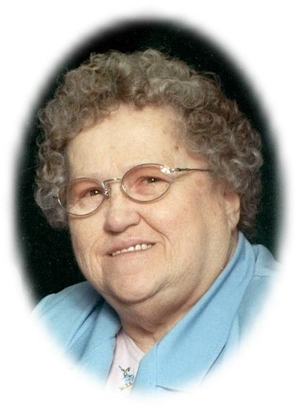 Obituary – Kukuk, Lillie Alice (Schieffer) « Perry High School Alumni Association, Inc.
Lillie Alice Kukuk, 68, of Perry, died at Perry Memorial Hospital on July 16, 2004. Funeral services will be at Tuesday at 2 p.m. Tuesday at Christ Lutheran Church in Perry. Rev. William Metz will officiate. Interment will be in Grace Hill Cemetery under direction of Brown-Dugger Funeral Home. She was the daughter of Christian Joseph and Anna Marea (Neuerburg) Schieffer. She was born at Lucien on April 13, 1936. 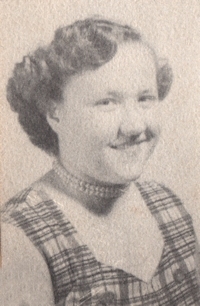 She and Harold F. Kukuk were married February 26, 1954 at Perry. She worked 17 years as a nurse’s aide at Perry Memorial Hospital. She was a member of Christ Lutheran Church, Lutheran Women’s Missionary League Unit 3, the Whipple Ladies Aide and the No. 1 Oklahoma Polka Club. She enjoyed reading, baking, making cakes, crocheting, sewing and scrapbooking. In addition to her husband, Harold, survivors are two sons, one daughter, three sisters, 12 grandchildren and 11 great-grandchildren. Her parents, two brothers and two sisters preceded her in death.